You get what you pay for. You give up a lot when looking for a low cost solution. 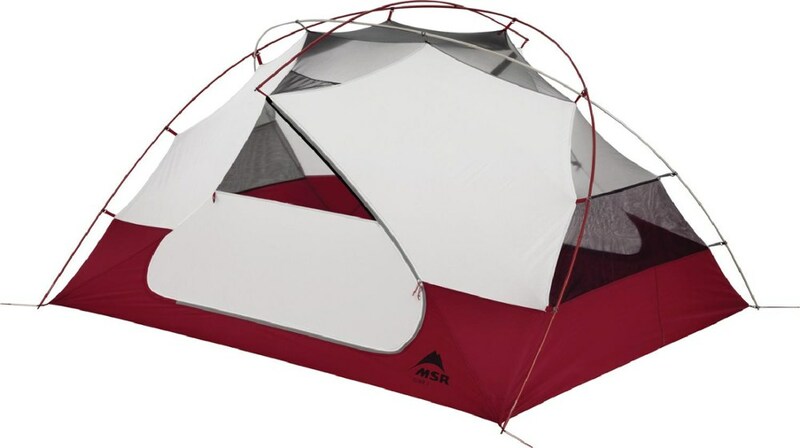 I purchased an earlier version of this tent and I'm writing this review due to the exceptionally poor customer service I have received from Texsport. 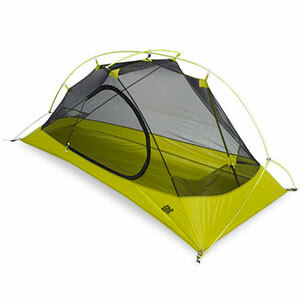 Overall the design is OK... and the tent is fairly easy to set up. 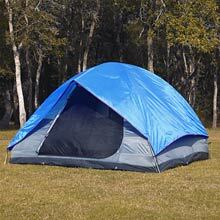 I will admit that when I purchased the tent, I was taken by a sale and the low cost. The first trip out, we had a nice rain for a couple days and the tent proved to be untreated for waterproofing. (all the Texsport tents purchased by the group I was camping with were unable to repel water). I was able to fix that by spraying the tent and fly with a waterproofing spray. 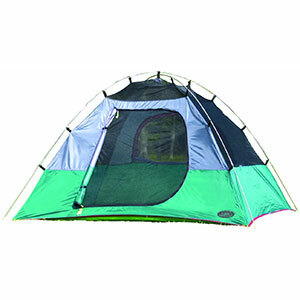 If you purchase one of their tents plan on spraying it before you take it out for the first trip. The condensation inside the tent wasn't too bad after the waterproofing was applied and it wasn't like you were just sleeping outside. 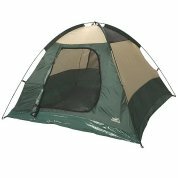 Be aware that the stakes that come with this tent are the basically unacceptable light stakes that are probably pretty standard. Maybe better for backpacking, they do not work in rocky or very soft soil without a lot of on-site engineering and digging. If you are car camping or camping near a short walk in, purchase heavier stakes. On the third trip out with this tent, we had high winds and it was amazing how this design collapsed on itself in the wind compared to the other tents. There was no way to angle the tent to keep it from catching wind from one of the sides and there was no way to vent wind from side to side like there was from front to back. Apparently the constant down and up action weakened the fiberglass poles until a couple segments split. This is where the exceptionally poor customer service from Texsport comes in. Trying to make sure I was going to order the correct replacement parts, I spoke to someone at the number of their website, they sent me to customer service, and they asked me to e-mail info@texsport.com with pictures to ask the question. That e-mail just received a go to Amazon response. Not even with feedback that you are on the right track for the replacement parts. I personally have no confidence in their customer service for any of their products after talking with several people and an e-mail on this question. 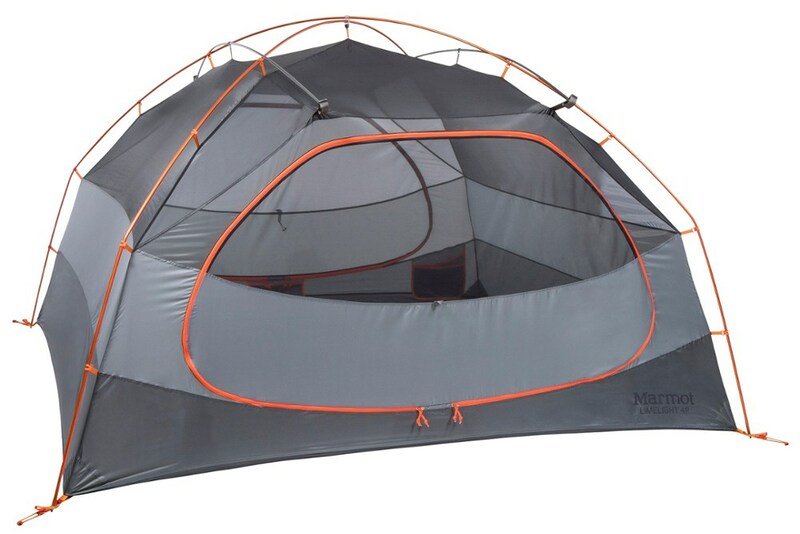 Until this pole issue, I was happy with the tent. I didn't feel like I received a name brand tent for discount price, but I felt like I received a fair deal. I am less interested in purchasing Texsport brand equipment in the future. You get what you pay for. It was less expensive... but the quality and support follow the pay less get less mentality. Welcome to Trailspace, Old Boy Scout. Thanks for sharing your experience with this tent and company. 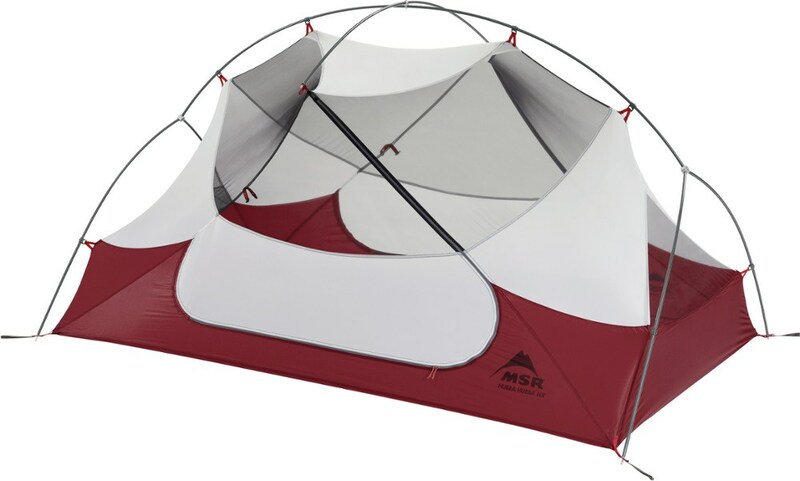 The Texsport Hasting Square Dome Tent is not available from the stores we monitor.